A team led by researchers from the National University of Singapore (NUS) says it successfully used machine learning to uncover new insights into the cellular architecture of the human brain. The scientists demonstrated an approach that automatically estimates parameters of the brain using data collected from functional magnetic resonance imaging (fMRI), enabling neuroscientists to infer the cellular properties of different brain regions without probing the brain using surgical means. This technique could potentially be used to assess treatment of neurological disorders and to develop new therapies, according to the researchers who published their study (“Inversion of a large-scale circuit model reveals a cortical hierarchy in the dynamic resting human brain”) in Science Advances. “We considered a large-scale dynamical circuit model of human cerebral cortex with region-specific microscale properties. The model was inverted using a stochastic optimization approach, yielding markedly better fit to new, out-of-sample resting functional magnetic resonance imaging (fMRI) data. Without assuming the existence of a hierarchy, the estimated model parameters revealed a large-scale cortical gradient. At one end, sensorimotor regions had strong recurrent connections and excitatory subcortical inputs, consistent with localized processing of external stimuli. At the opposing end, default network regions had weak recurrent connections and excitatory subcortical inputs, consistent with their role in internal thought,” wrote the investigators. “The underlying pathways of many diseases occur at the cellular level, and many pharmaceuticals operate at the microscale level. To know what really happens at the innermost levels of the human brain, it is crucial for us to develop methods that can delve into the depths of the brain noninvasively,” said team leader Thomas Yeo, PhD, assistant professor at the Singapore Institute for Neurotechnology (SINAPSE) at NUS, and the A*STAR-NUS Clinical Imaging Research Centre (CIRC). 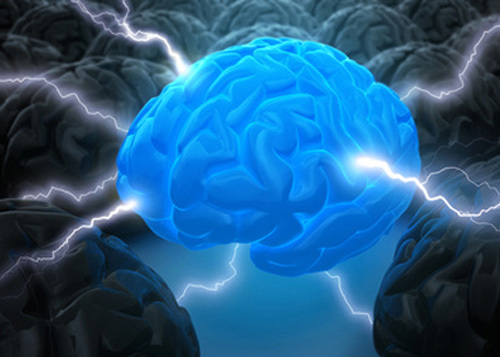 Currently, most human brain studies are limited to noninvasive approaches, such as magnetic resonance imaging (MRI). This restricts the examination of the human brain at the cellular level, which may offer novel insights into the development, and potential treatment, of various neurological diseases. 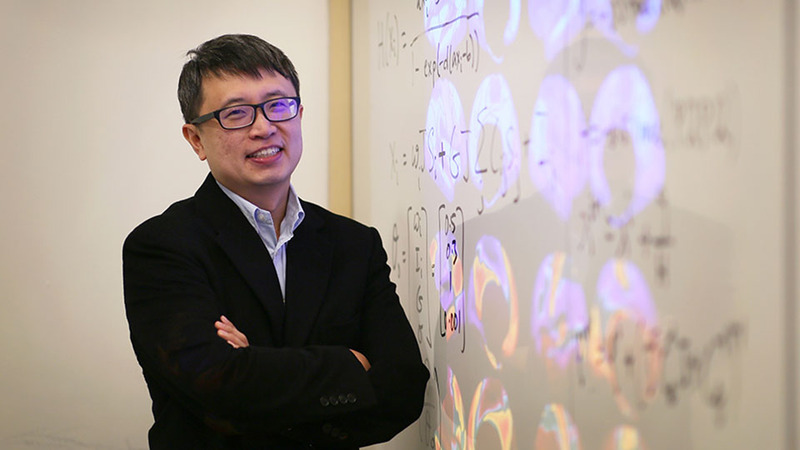 Different research teams around the world have harnessed biophysical modeling to bridge this gap between noninvasive imaging and cellular understanding of the human brain, noted Yeo. The biophysical brain models could be used to simulate brain activity, enabling neuroscientists to gain insights into the brain. However, many of these models rely on overly simplistic assumptions, such as, all brain regions have the same cellular properties, which scientists have known to be false for more than 100 years, he continued. Yeo and his team worked with researchers from Universitat Pompeu Fabra, Universitat Barcelona, and University Medical Center Utrecht to analyze imaging data from 452 participants of the Human Connectome Project. Departing from previous modeling work, they allowed each brain region to have distinct cellular properties and exploited machine learning algorithms to automatically estimate the model parameters. “Our approach achieves a much better fit with real data. Furthermore, we discovered that the micro-scale model parameters estimated by the machine learning algorithm reflect how the brain processes information,” said Peng Wang, PhD, who is the first author of the paper, and had conducted the study when he was a postdoctoral researcher on Yeo’s team. The research team found that brain regions involved in sensory perception, such as vision, hearing, and touch, exhibit cellular properties opposite from brain regions involved in internal thought and memories. The spatial pattern of the human brain’s cellular architecture closely reflects how the brain hierarchically processes information from the surroundings. This form of hierarchical processing is a key feature of both the human brain and recent advances in artificial intelligence. Moving forward, the NUS team plans to apply their approach to examine the brain data of individual participants, to better understand how individual variation in the brain’s cellular architecture may relate to differences in cognitive abilities. The team hopes that these latest results can be a step toward the development of individualized treatment plans with specific drugs or brain stimulation strategies.